You may wonder why I'm going into so much detail over a simple cream but this is such a relaxing 5 minutes of my day and leaves my hands (which can get dried out sitting under air conditioning) feeling soft and smelling great. I've also noticed a strengthening of my nails themselves and a lot less flaking. 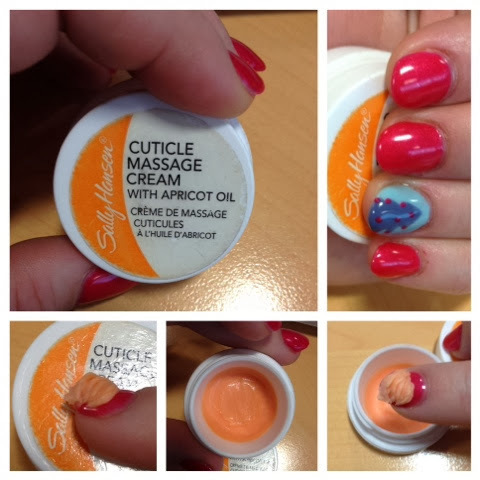 Fun Nail Fact: Did you know that you can use almost any kind of extract oil to moisturise your cuticles? Nuts & Fruits such as Almond & Apricot are popular but you can even use olive oil! it's also great for use with Acrylics helping them adhere to the nail and preventing lifting. So that's step 1 of my routine, stay tuned for step 2: Weekly care!